Julia married artist O. Worsham Rudd Jr. on May 17, 1952. She passed away on May 16, 2016. Read The New York Times obituary. She is survived by two daughters, Caroline and Alices. 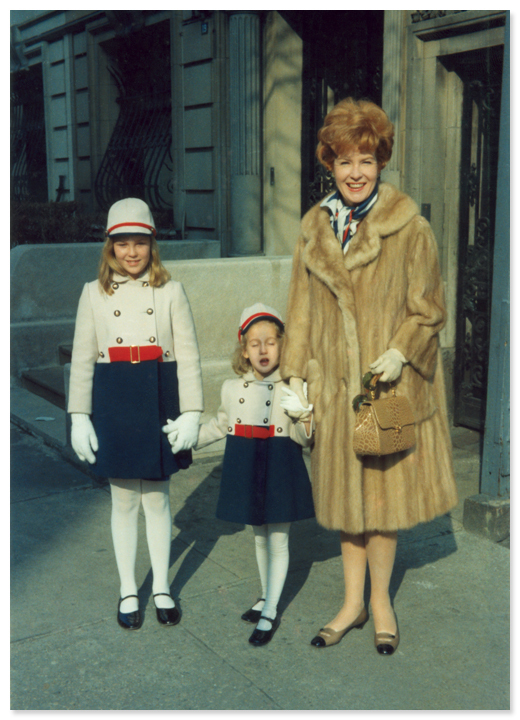 Julia Meade and her daughters Caroline and Alice, in matching outfits, standing on the sidewalk outside their apartment building in New York City in 1967.